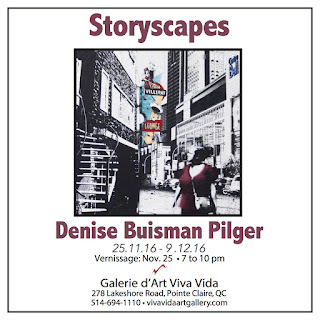 If you missed the Opening of the solo exhibition "Storyscapes," by Denise Buisman Pilger, the artist will be talking about her work on Thursday December 8 at a Finissage of the exhibition, which officially closes on Friday the 9th. Denise will start by giving a presentation and overview of the artistic process behind the work, discuss the inspiration and her artistic development, which will be followed by a question period. Wow! This has been quite an awesome week! And there's more to come, can you believe it?! Last weak on Thursday afternoon we celebrated the opening of my solo exhibition at Galerie Carlos at the Old Mission Brewery in Montreal. It was such an amazing experience to share my work with the clients of the mission! And on Friday night we celebrated the opening of 'Storyscapes' my solo exhibition at Viva Vida Art Gallery! 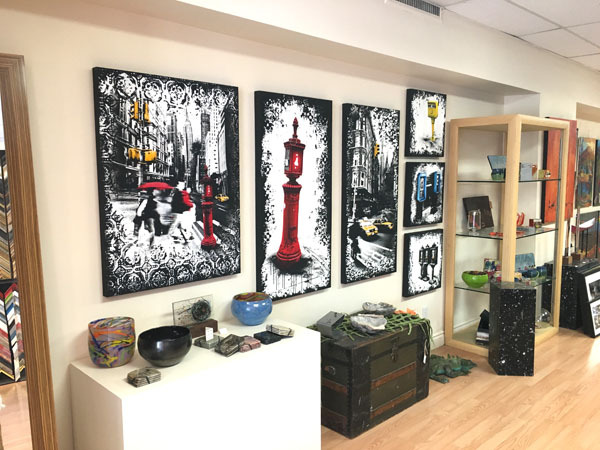 This upcoming Friday (December 2) Viva Vida Art Gallery will be hosting an open house to celebrate the opening of their annual Small Works exhibition in the front of the gallery. From 4-9pm everyone is welcome to join us for some hot cocoa, wine and awesome artsy holiday activities. And yes, of course my exhibition is still up as well so if you didn't have a chance to join us this past Friday this is your chance! 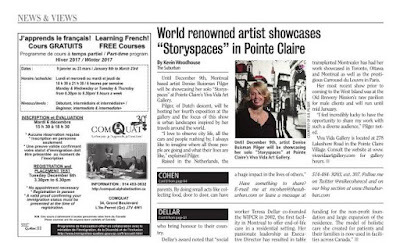 Oh and The Suburban Newspaper published this awesome article about the exhibition as well! It's almost time! My two solo exhibitions are both opening this week! 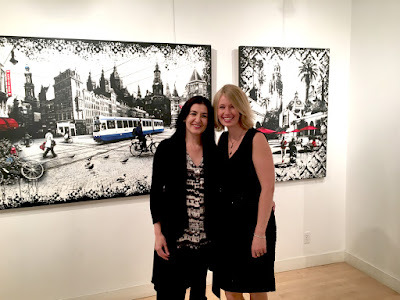 I've never had two solo exhibitions at the same time! it's awesome, and scary, and it feels a little crazy! Vernissages are always stressful, it's difficult to get people to attend, especially with the first snow coming in, I really hope people will brave the winter weather this Thursday afternoon and Friday night! There will be refreshments, awesome people and amazing art to warm you, so please, please, please consider joining us this Thursday (November 24th) from 1:30-3pm at the Mission Old Brewery, 904 Boul. Said Laurent, Montréal and this Friday (November 25th) from 7-10pm at Viva Vida Art Gallery, 278 Lakeshore, Pointe Claire. I really, really hope to see you there! Oh and check out this awesome article about my upcoming exhibitions in the Suburban! I have been so, so busy these past few months, things have been crazy with three solo exhibitions in November and two group exhibition coming in December and of course the preparations for The Artist Project in February, my studio looks like a storage unit! But, things are coming together, paintings have been finished and varnished and are waiting to be packed up. 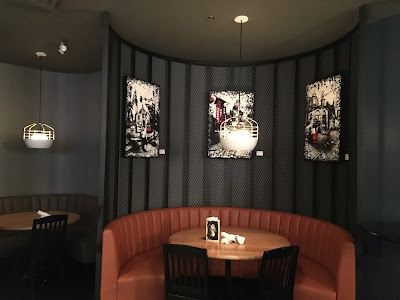 Tomorrow I will be dropping off some brand new pieces at Wallack Galleries in Ottawa, on Wednesday I'll be hanging my exhibition at Mission Old Brewery and on Wednesday night my newest pieces will travel to Viva Vida Art Gallery! So by the end of the week my studio will be empty again, ready to be filled with all new work for the Artist Project! One more week of crazy preparations, nervous energy, a touch of stress and of course a lot of fun! I will take care of the preparations and the stress and I hope you will join me for the fun this Thursday and Friday! You are invited to 2 exciting art exhibitions! 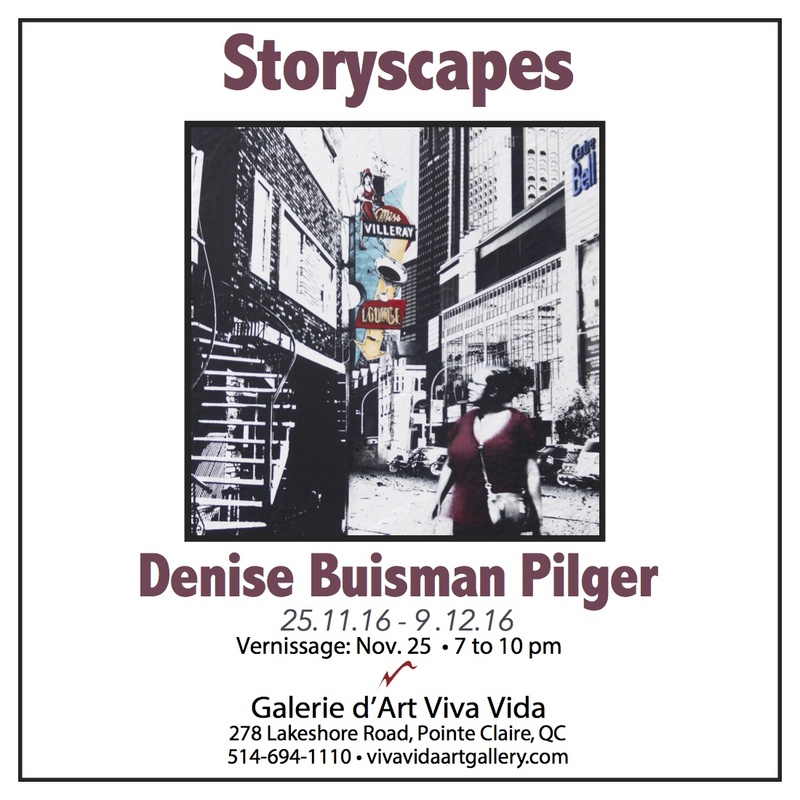 From November 25 - December 9, 2016 Viva Vida Art Gallery will present my newest artworks in a solo exhibition titled "Storyscapes". 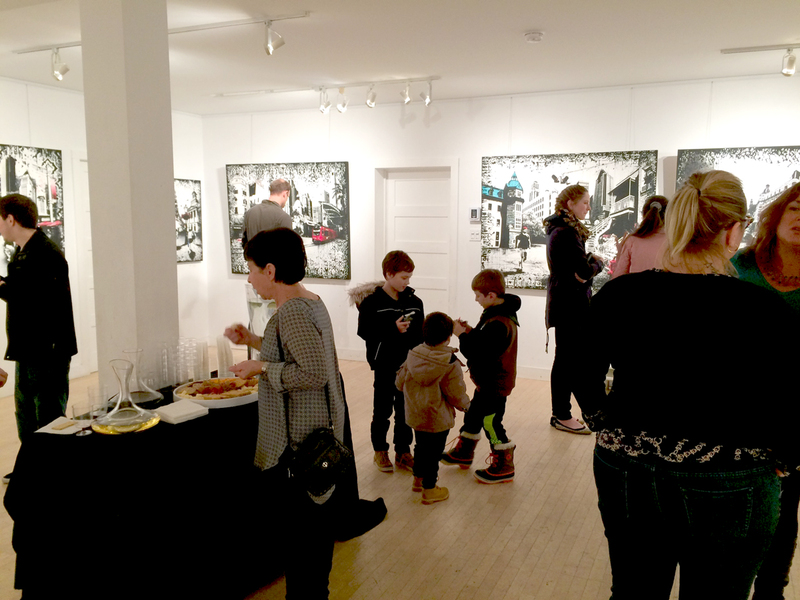 You are invited to join us for some wine and cheese at the Vernissage on Friday November 25 from 7pm-10pm. For the past few months I have been working non stop to create this new series of artworks. I love to observe city life, all the cars and people rushing by, I always like to imagine where all those people are going and what their lives are like. This new series of artworks captures those moments. 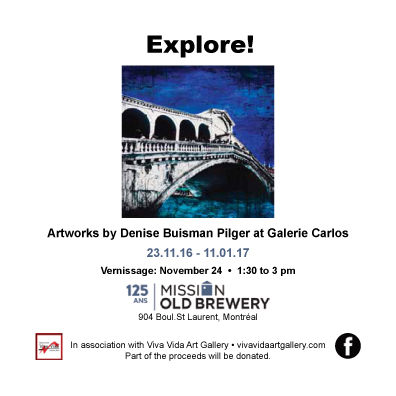 From November 23 - January 11, 2017 my work will bring colour and joy to the people visiting the newly renovated cafeteria of the men’s pavilion of the Mission Old Brewery. You are invited to celebrate this awesome initiative at our Vernissage on Thursday November 24 from 1:30-3pm. 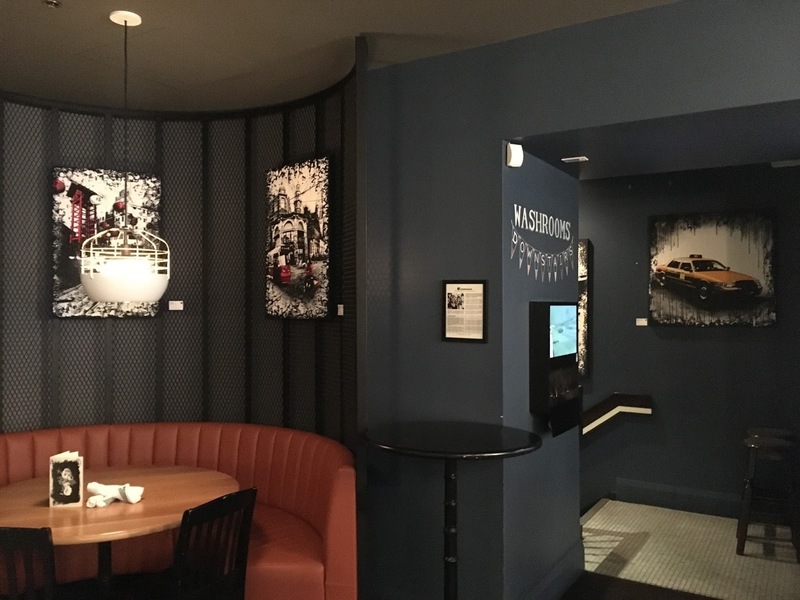 I am so excited to share my work with the clients of the Old Mission Brewery and to give them a chance to enjoy art they wouldn’t normally have access to. We have selected works specifically to open opportunities to explore urban stories of the near and far, Montréal and abroad. Part of the proceeds of this exhibition will be donated. 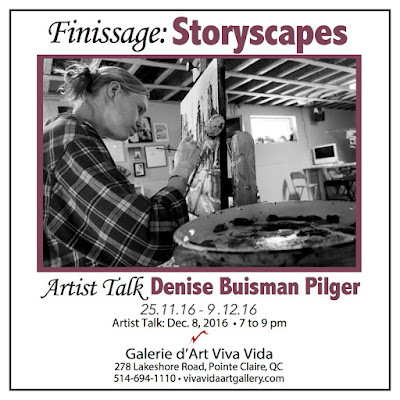 Join me for this very special vernissage! It's all stormy outside, big wind gusts are blowing colourful leaves all over the place, yes, fall is definitely in full swing! My studio feels a bit stormy too but instead of leaves the floor is littered in newly prepped panels and piles of prints. It feels good to be busy! I'm working on about 16 new pieces in my studio at the moment, and I have quite a few additional ones planned after these ones as well, it is going to be a busy winter. I am really looking forward to being tucked away in my studio with my new pieces, I just finished a 48"x60" and I have about 5 pieces lined up to transfer and to hopefully start painting the week! I always get super excited when it is finally time to transfer my newest pieces to their panels, that's the moment when they go from an idea to being an actual piece, it makes me happy! Oh and this upcoming Wednesday is going to be especially exciting! On October 26th there will be a very special vernissage to celebrate the opening of the newly renovated art space at the Mission Old Brewery in Montreal! If you are in the neighbourhood please come and join us from 1:30-3:00pm! The Mission Old Brewery is located on 904 Boul. St Laurent, I really hope to see you there! 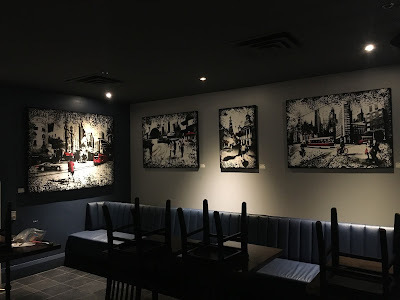 My Solo exhibition at The Merchant in Toronto! I spent yesterday (Monday) morning hanging my solo exhibition at The Merchant in Toronto. 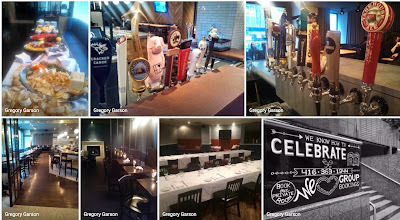 This awesome restaurant in Toronto's busy financial district is such a perfect fit for my work! 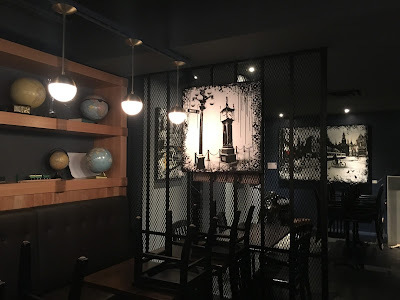 Their space is absolutely beautiful and with them being Toronto's travellers Tavern their philosophy matches up with my 'Traveling the World' series perfectly. The Merchant is the perfect place to unwind after a day of hard work or to have a relaxing break for lunch. They have truly amazing food that is really affordable too! Yesterday we had a beautiful fresh salad, an amazing curry, the best gnocchi and an epic Belgian chocolate cheesecake for lunch. I can tell you, this awesome food break really made hanging the rest of the show a breeze! Of course the restaurant was open for lunch while we were hanging he show which was really fun because lot's of people were of course curious what we were doing which lead to some awesome conversations! We had decided to hang one of my large 48"x72" pieces in the stairwell which was a bit of a challenge. It involved 4 people, two high ladders, a broom and a bit of a traffic jam on the stairs to the washrooms but the result is stunning! 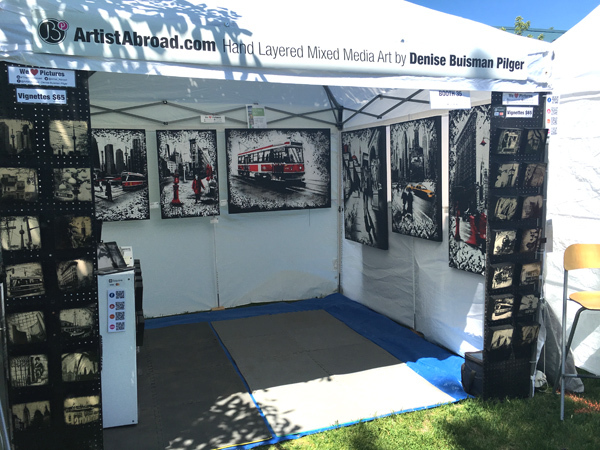 After a day of show hanging fun I am now back in my studio and ready to get back to work. Some much needed work too! I brought 23 pieces to Toronto for my show at the Merchant and with the two additional galleries that I started working with over the summer my studio is now eerily empty. Luckily I am currently working on 16 new pieces so soon my studio will start filling up again. A good thing too with two more solo exhibitions coming up in November! My solo exhibition at The Merchant is open to the public and will be up until November 13th. 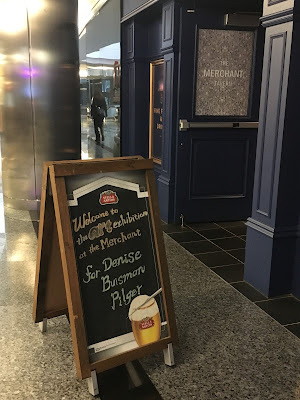 The Merchant is located on 181 University Ave. (at Adelaide St.) Toronto, Ontario M5H 3M7 you can reach them at: (416) 363-1944 or at TheMerchantToronto@gmail.com and their opening hours are: M-Th 11 am - 12 am • F 11 am - 1 am • Sa 10am - 12 am • Su 4pm - 12 am. Important date change and vernissage announcement! Heads up people! 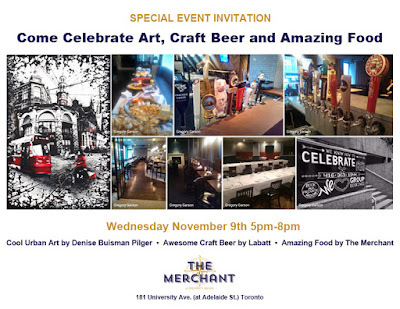 Our Art, Craft Beer and Awesome Food celebration at The Merchant in Toronto is now on November 9th! Due to the possibility of the Blue Jays playing a home game on Wednesday October 19th we have decided to change the date of our special party at The Merchant. The new date will be Wednesday November 9th from 5pm-8pm so mark your calendars! This is going to be an awesome party! My solo show will still run from October 18th-November 13th, you are welcome to step into the restaurant at any time (during opening hours of course) to view the art. The Merchant Taps &Tavern is located at 181 University Ave. (at Adelaide St.) in Toronto. I am looking forward to seeing you on November 9th! For all my friends here in Montréal, I'd like to invite you to a very special event! 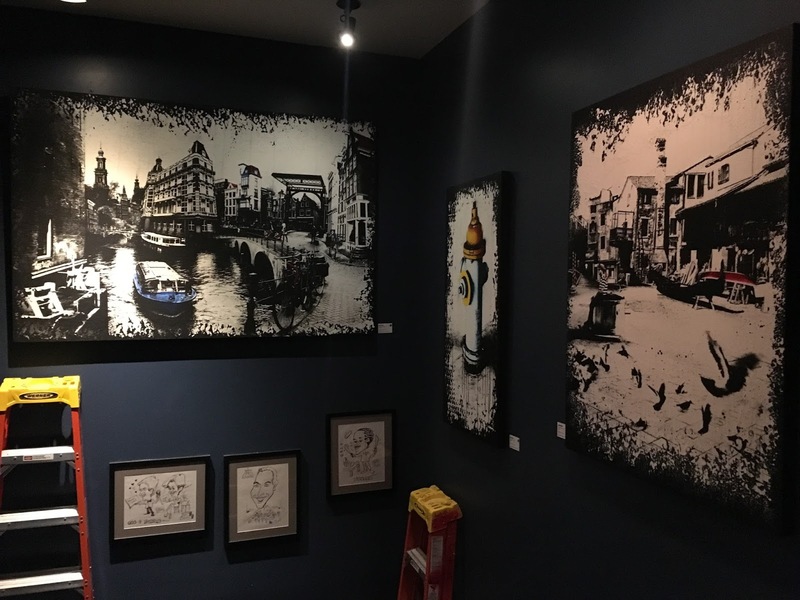 On Wednesday October 26 from 1.30-3.00pm there will be a vernissage to celebrate the re-opening of the newly renovated art space at the Mission Old Brewery in downtown. They're starting the new art space off with a beautiful groups show to give you a taste of what's to come in the near future. This event is open to the public so everyone is invited to join us in celebrating this very special event in this beautiful and meaningful location. I really hope to see you all there! 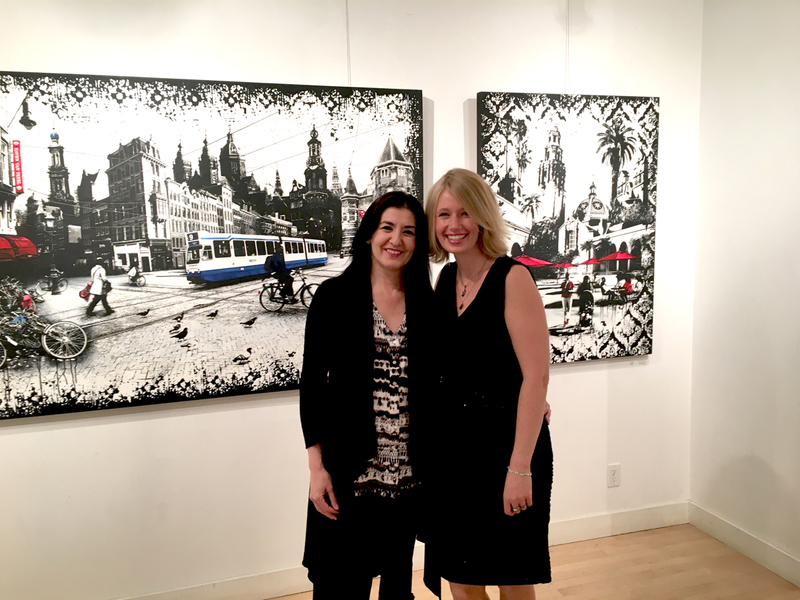 3 Solo Exhibitions and a New Gallery! Hello there! It feels like forever ago since I last posted something! Summer has come and gone and fall is gearing up to be amazing! First of all I am super happy to announce that my work is now also represented by Wallack Galleries in Ottawa! They're located on 225 bank street. 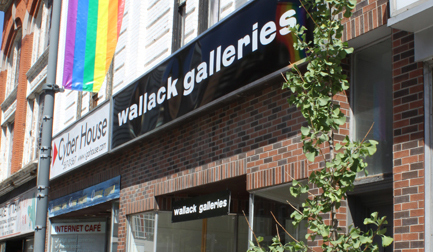 Wallack Galleries is one of Canada’s oldest commercial art galleries. Gallery director John Wallack, who assumed directorship of the gallery in 1965, changed the gallery format to include a stable of contemporary artists rather than exclusively buying and selling works of deceased artists. The artists represented by the Wallack Galleries include both figurative and abstract. Throughout the years the reputation of the gallery has been known and respected widely by both collectors and artists. I am very excited about this opportunity, John has been very welcoming and excited to introduse the work to his collectors. They have 6 of my pieces at the moment and I have some exciting new pieces in the works in my studio that will be going to the gallery in the next few weeks! But a new gallery is only the beginning. In the next two months I will be doing 3 solo exhibitions and one group exhibition! Crazy right? It feels that way anyway (not that I'm complaining!) So my first solo will be at The Merchant Taps and Tavern, located on 181 University Ave. in Toronto from October 18-November 13th. There will be an awesome gala event on Wednesday November 9th from 5pm-8pm to celebrate the coming together of Art, Craft Beer and Amazing Food! For more information on this amazing event you can check the news page on my website! 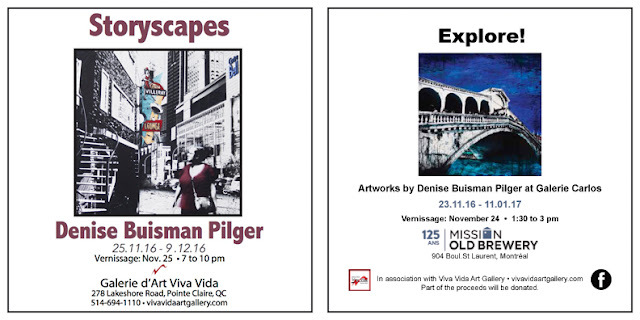 From November 25-December 9th my second solo exhibition of the season will be held at the Viva Vida Art Gallery! Nedia El Khouri and I have been hard at work preparing for this amazing show and yes, more new artwork is currently in the works in my studio for this amazing event! Third (and fourth) I will be exhibiting work at the Mission Old Brewery in downtown Montreal. This amazing homeless shelter has a 125 year history of “helping Montreal’s most vulnerable men and women transform their lives”. Located in the cafeteria they have created an amazing gallery space, the idea being to improve the environment for the clients, while also providing an exhibition opportunity for local artists. 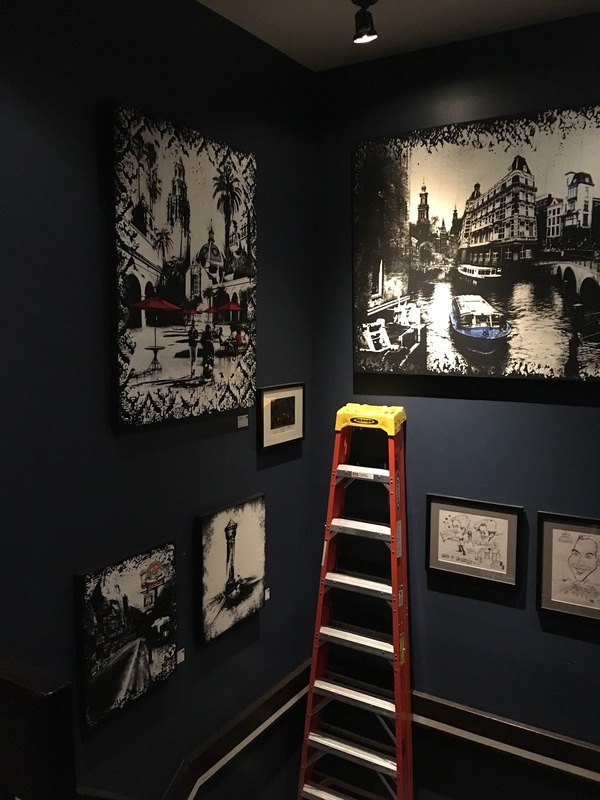 They have recently renovated the space and it will soon reopen with an awesome group exhibition (one of my pieces are included in that one as well!). There will be a vernissage for this show on Wednesday October 26th from 1.30-3.00pm so come join us for some awesome art in this amazing and meaningful space! In the second half of November until early 2017 (exact dates will follow) my work will be featured in a solo exhibition as well. I have put together a series of bright and colourful pieces which I hope will bring a little joy to everyone visiting the space. So lots of cool stuff coming up in the next few month! Keep an eye on this blog and my website and social media pages for more updates! This past weekend I traveled to Toronto to be a part of the Riverdale Art Walk. This awesome art event has been held at the Jimmie Simpson Park for the past 18 years but for me it was the very first time! And what a great time it was! The crowds on Saturday were amazing, I met so many lovely, new people and had a chance to catch up with some collectors from previous Toronto shows. I also got to see some of my Toronto artist buddies which is always a nice bonus! I also got to test out the amazing new hanging system that my lovely hubby designed. It is sturdy, very minimalist and it makes my art hang all nice and straight! Doesn't it look amazing? I also got to test my new vinyl banner, which is a huge improvement from the hot glued, laminated pieces of paper I had last year! 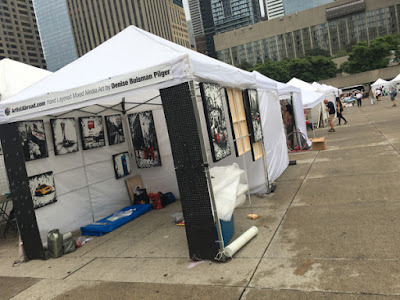 On Sunday the day started out great, but early afternoon Mother Nature decided she had seen enough art for the weekend, after a huge downpour and with a severe thunderstorm watch on the radar it was deemed saver to start packing up early. 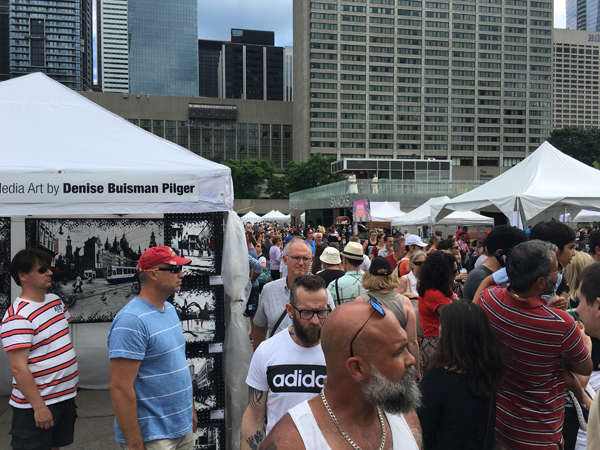 For anyone who might have missed out on seeing my work or buying that piece they fell in love with, I will be back in Toronto in 5 weeks for the Toronto Outdoor Art Exhibition on Nathan Phillips Square! This show will be held on July 8-10 and you will be able to find me in booth 158! While we were in Toronto I had a chance to drop off some work at the Latitude 44 Gallery located in the historic Junction area of Toronto on 2900 Dundas St West. They will be representing me in the Toronto area so from now on collectors in the Toronto area will now have access to my artwork all the time at the time! Below you will see a little preview of the work that they have available at the moment. 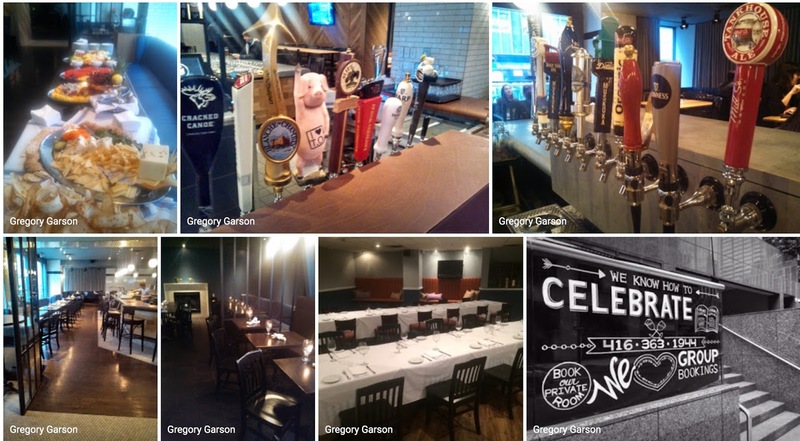 If you are in the neighbourhood you should definitely check it out! Janet and Mary Ann are amazing and they carry a beautiful collection. 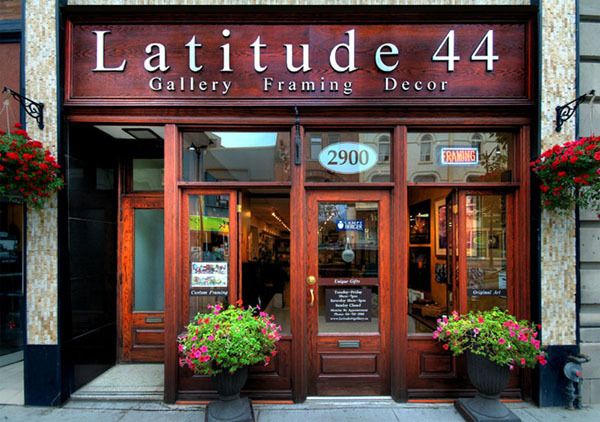 They have over 25 years of corporate and retail framing experience so they will also be able to help you with all of your framing needs. 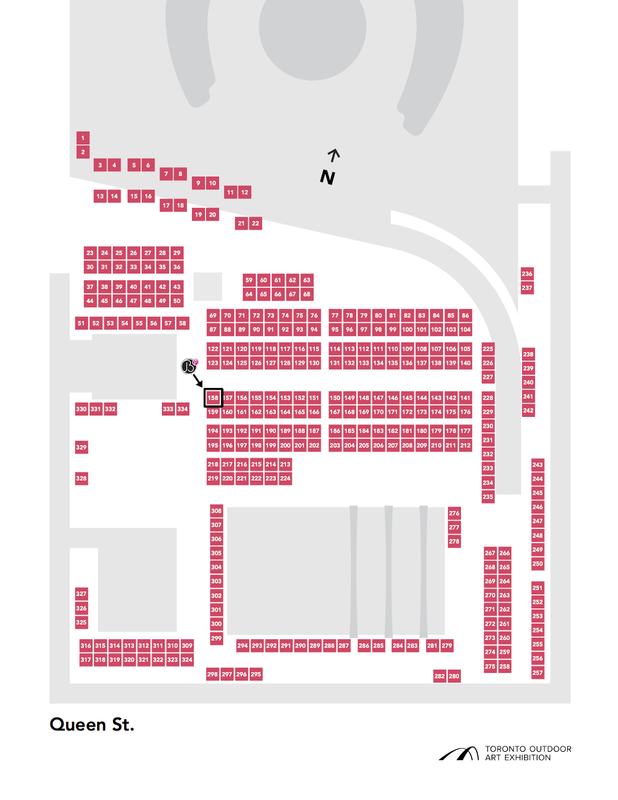 Booth 35 and booth 158! Next weekend, June 4-5, you can find me in booth 35 in Jimmy Simpson Park in Toronto. Keep an eye out for my brand new banner, I am really proud of it! 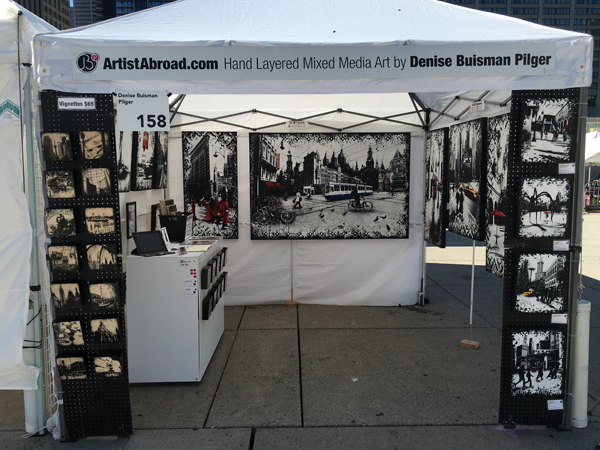 On July 8, 9 and 10 I will be on Nathan Phillips Square in booth 158 for the 55th Toronto Outdoor Art Exhibition! 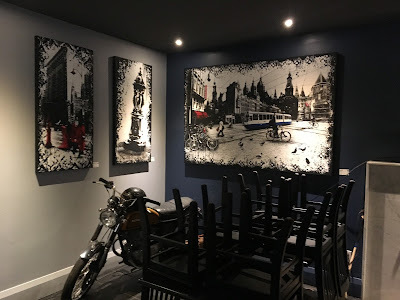 In the thick of it - a studio update. I've been working in my studio like a mad woman so I wanted to give you a little update on all the new pieces that are in the pipeline. But first I have some awesome news! 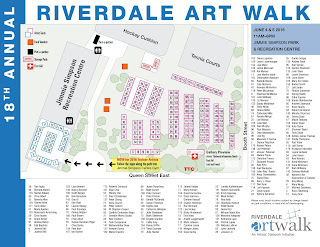 I have recently heard that my work has been accepted into both the Riverdale Art Walk as well as the Toronto Outdoor Art Exhibition! 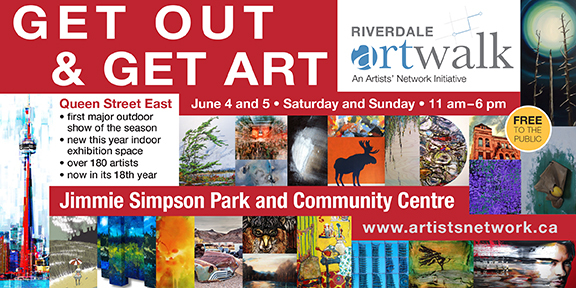 The Riverdale Art Walk is a two-day (June 4 and 5, 2016), public fine art exhibition showcasing established and emerging artists in Jimmie Simpson Park in Toronto’s flourishing Queen East arts district. 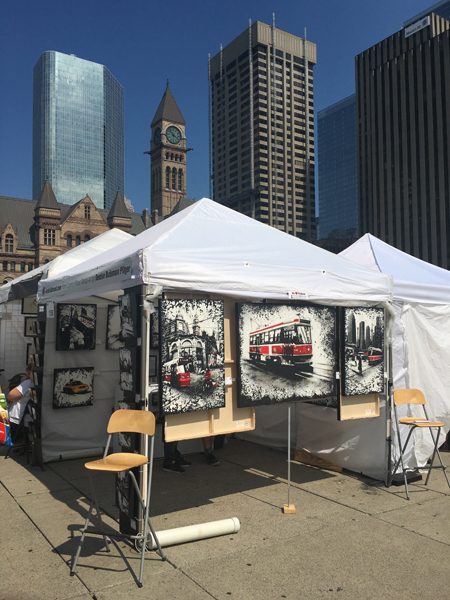 The first outdoor art show of Toronto’s season, it has consistently been rated by local artists as one of the best organized shows in Toronto. 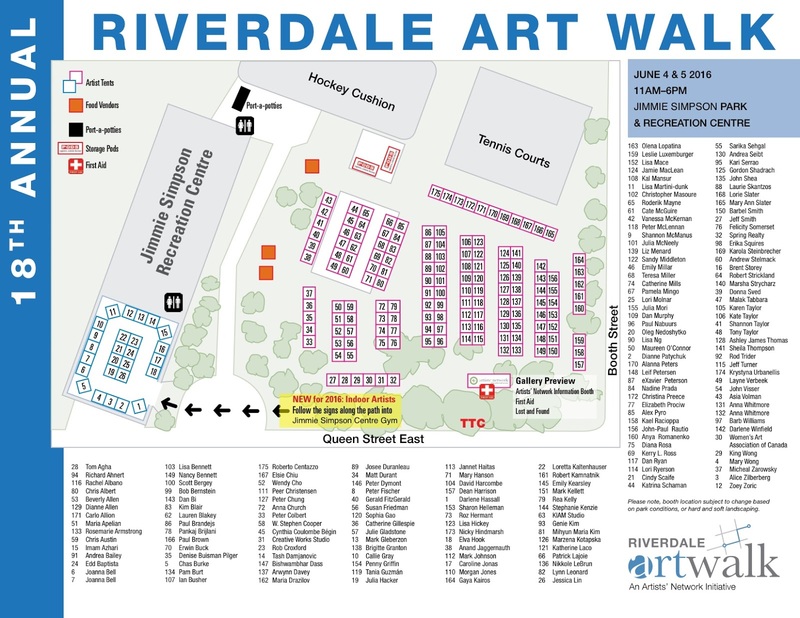 Now in its 18th year in the Riverdale/Leslieville area of Toronto, the festival has grown to reach an audience of over 10,000 art enthusiasts and supporters. I am super excited to be a part of this amazing show! 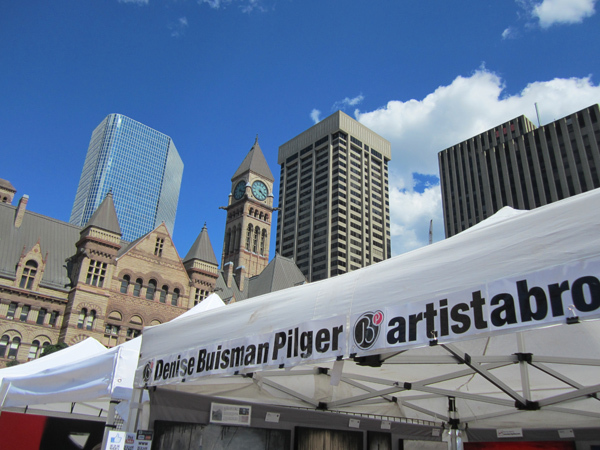 I exhibited at the Toronto Outdoor Art Exhibition in 2014 and I am super excited to be back on Nathan Phillips Square on July 8-10 this year! The Toronto Outdoor Art Exhibition is Toronto’s first, largest, and longest running outdoor art fair – providing fresh art, fresh faces, in the fresh air since 1961. 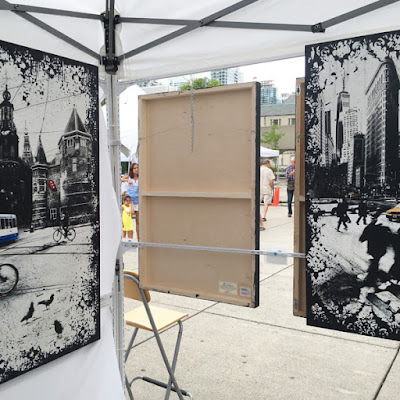 Attracting an audience of over 100,000 people annually, and showcasing the work of over 350 artists, the Toronto Outdoor Art Exhibition prides itself on creating an environment which gives artists the chance to interact directly with the public in an informal setting – removing the barriers to access, and dispelling the formality of a traditional gallery or art fair experience. Now that I know that I'll be doing these two shows over the summer I will have to create some new pieces to show off to my Toronto audience, because I love them and they deserve something new! 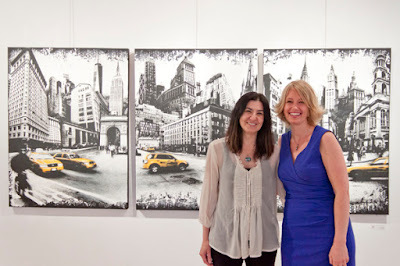 I was already working on 5 new pieces of New York and I recently finished 15 new compositions. I am super excited to be showing you to places like San Diego, LA and The Hague in the near future! Over the weekend I took a trip to the art supply store to make some preparations for the next couple of months, some new panels, paints and mediums are waiting in my studio right now! Exciting! For those of you interested in getting creative while enjoying some wine and being surrounded by art. Viva Vida Art Gallery is hosting a 'transfer & wine' tomorrow evening (Thursday April 14) from 7-9:30 pm. While enjoying a glass of wine, I will show you the magic of acrylic photo transfer. You will be guided through the transfer process step by step. 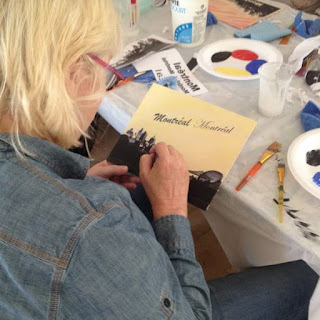 Combine photographs, text, and paints to create your own unique piece mixed media art. The speed of the process will amaze you! Come join us for an evening of fun and relaxation and let your creativity flow at Viva Vida Art Gallery! I've been tucked away in my studio working on some new pieces. Currently I'm working on 5 pieces in the studio and, while I'm waiting for my gel skins to dry, I'm working on a couple of new compositions on the computer as well. I always like to work on multiple pieces at the same time, not only is it more efficient but I also find it to be inspiring and invigorating. Working this way gives me this, sort of nervous energy, I want to finish each piece as soon as possible because I'm so excited about them and I want to see the finished artwork! I constantly feel like I haven't created enough, there's always more paintings to make! They're all floating around in my head waiting for a moment to be set free, I always feel like I'm running behind. That's probably why I tent to get restless and start feeling off when I haven't been able to spend much time in the studio for a while. That's why my post will be short and sweet today, no time, no time! Got to get back to my studio and paint!